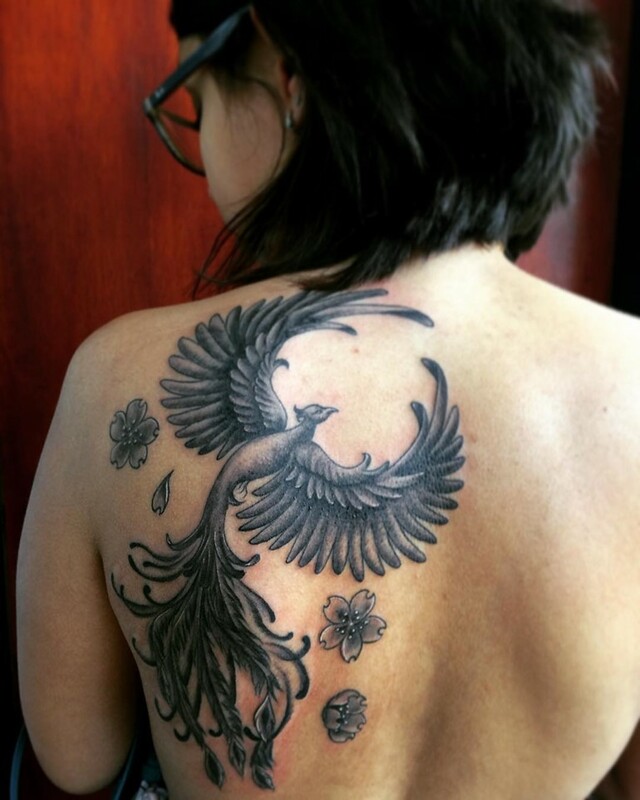 Phoenix tattoo is probably one of the most popular forms of tattoos, while having a lot of meaning. 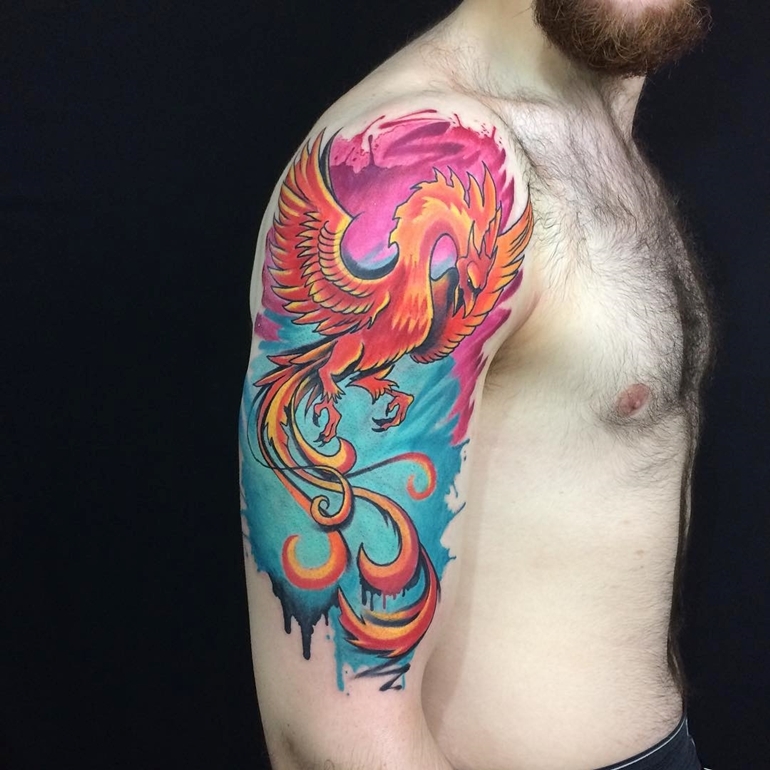 In this article I’ll talk about the phoenix and about the many meanings of this. 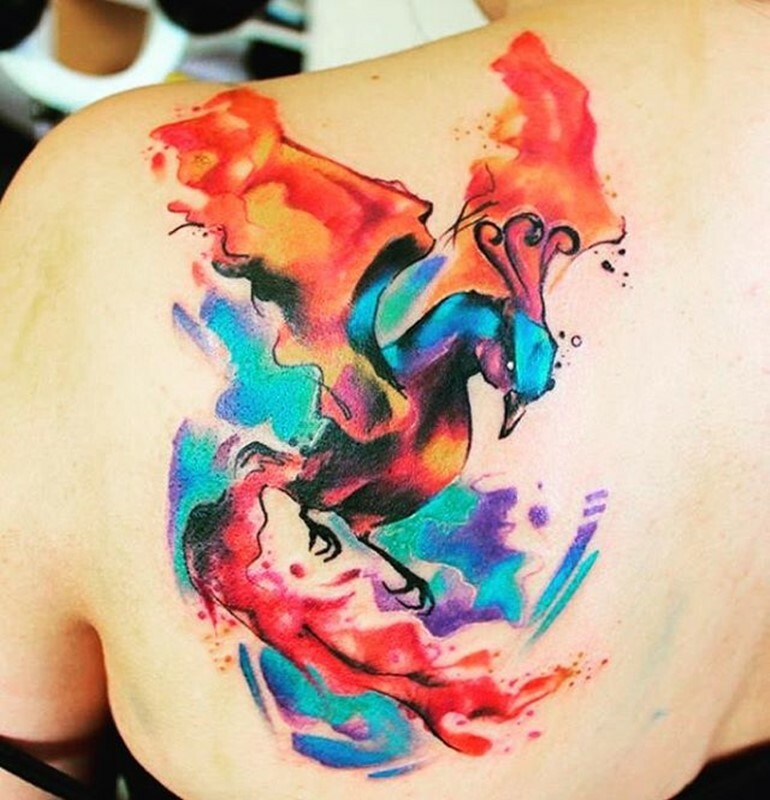 Phoenix is ​​a sign of renewal, hope and a new beginning. 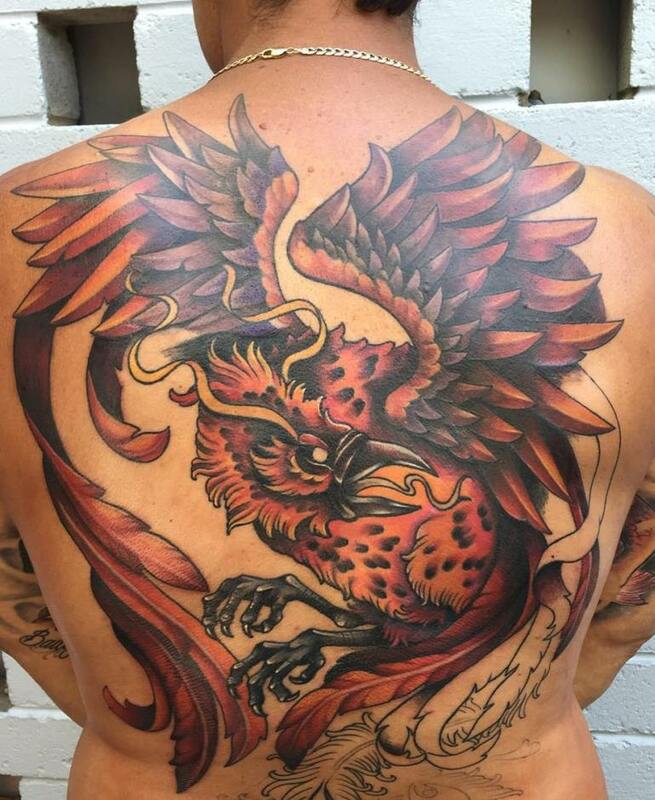 A very famous tattoo linked to the phoenix is ​​when the phoenix is ​​surrounded by flames and rises from the ashes. 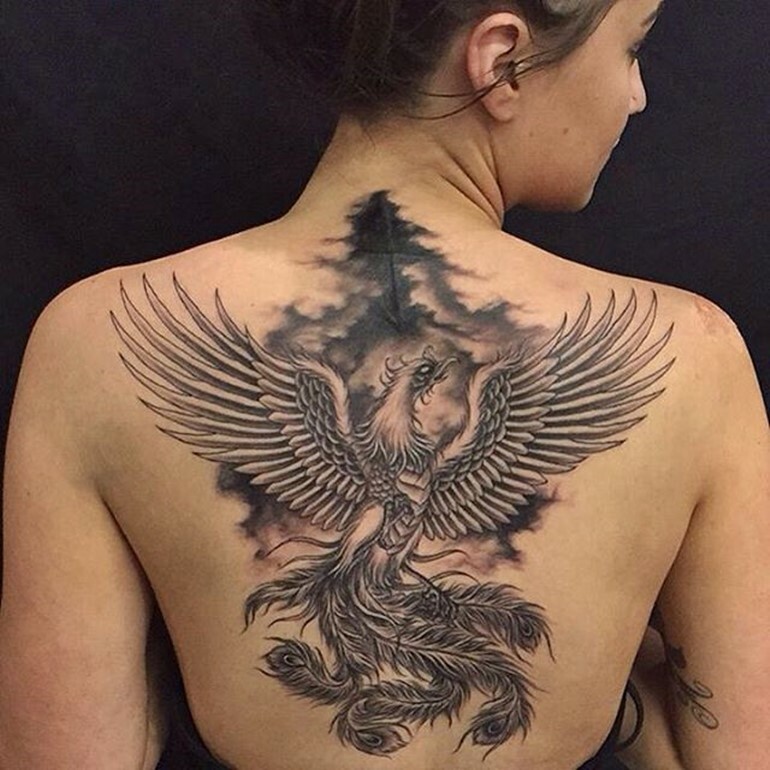 Egyptians believed that the phoenix is ​​a symbol of the sun god, Ra. 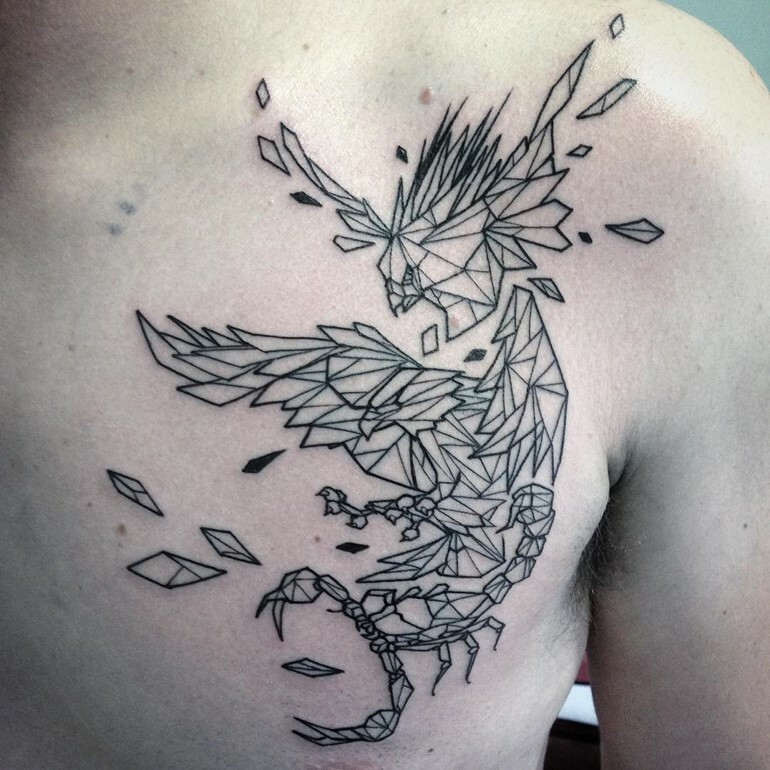 It was thought that it could live 500 years, before finally building a nest whom gave fire to it in him. 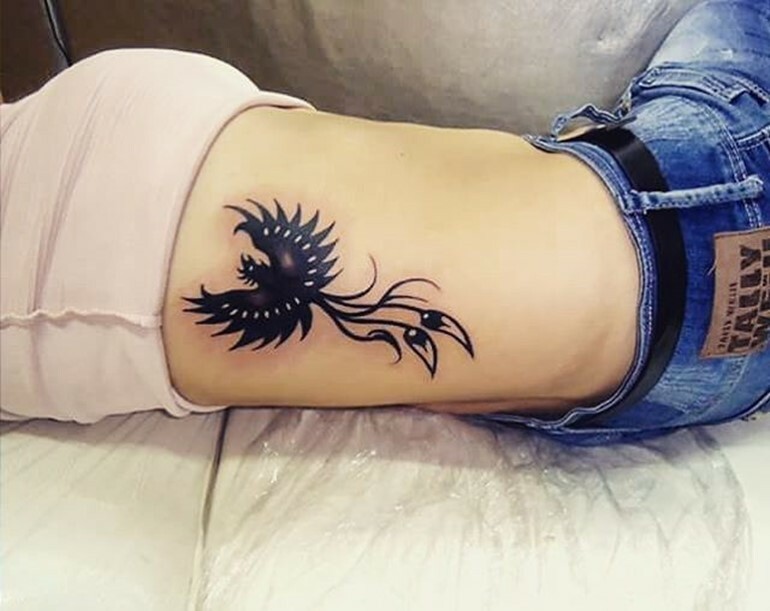 It was believed that after burned, this bird could only revive from the ashes, ashes will then lead the old city of the sun, Heliopolis, to hand over the ashes of the sun. 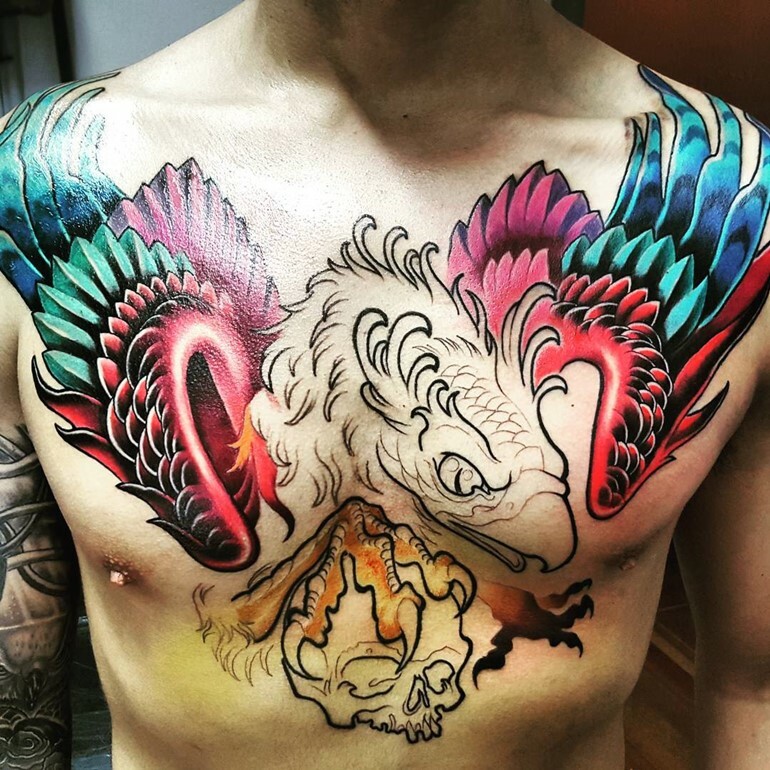 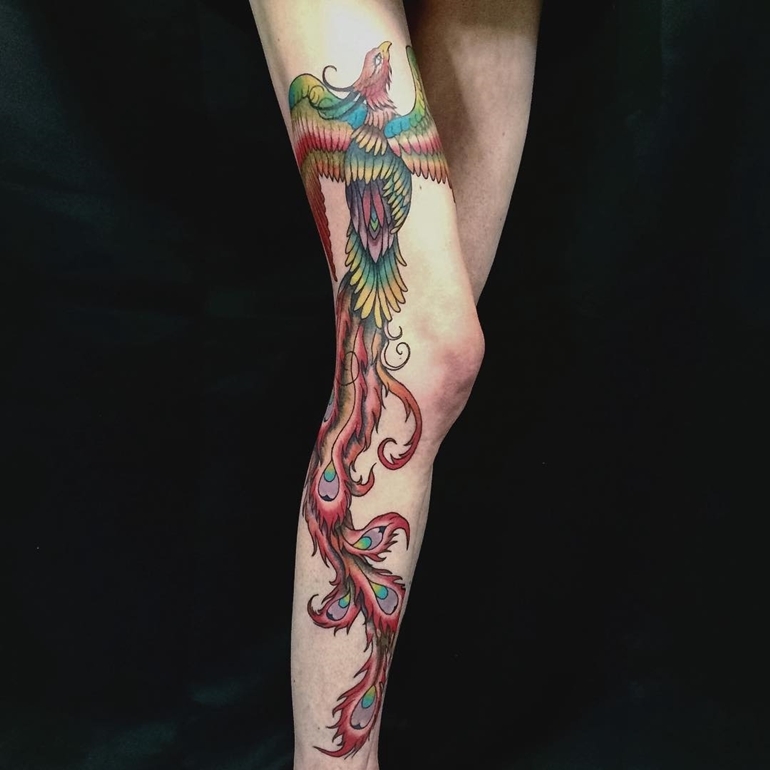 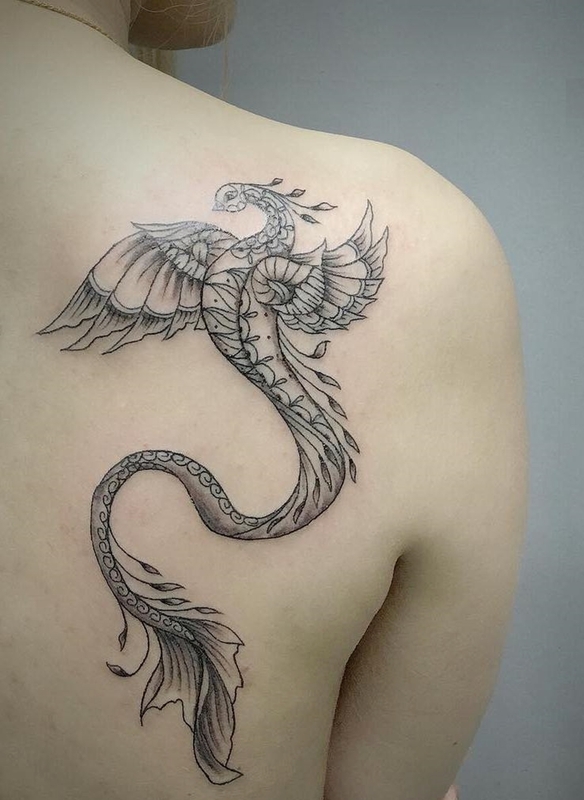 The uniqueness of a phoenix bird design lies in its interpretation differently by different people. 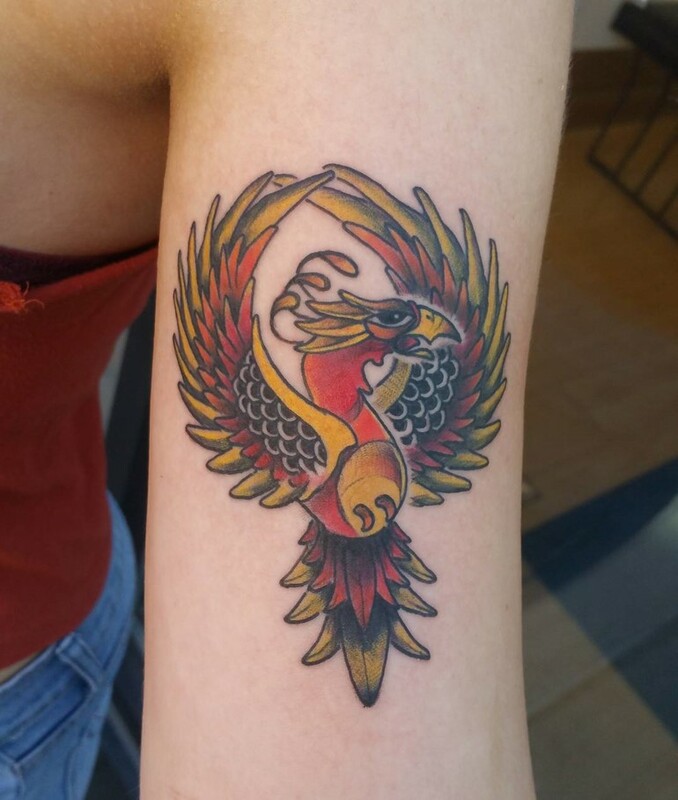 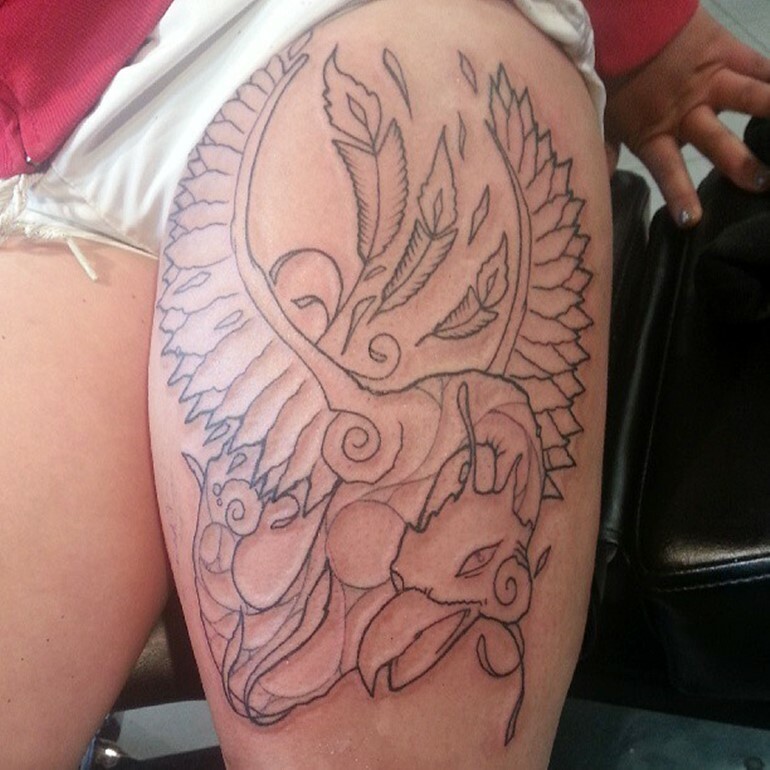 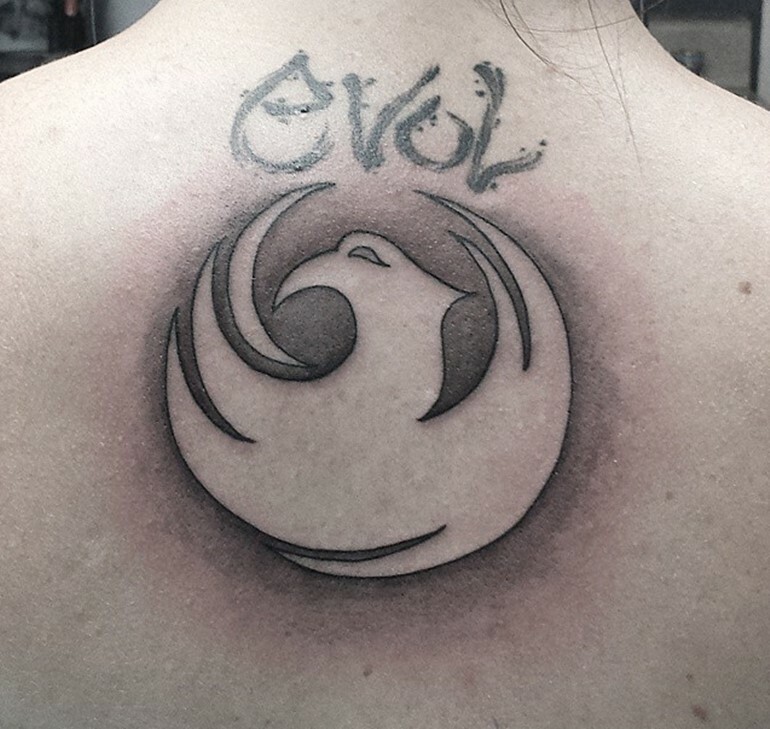 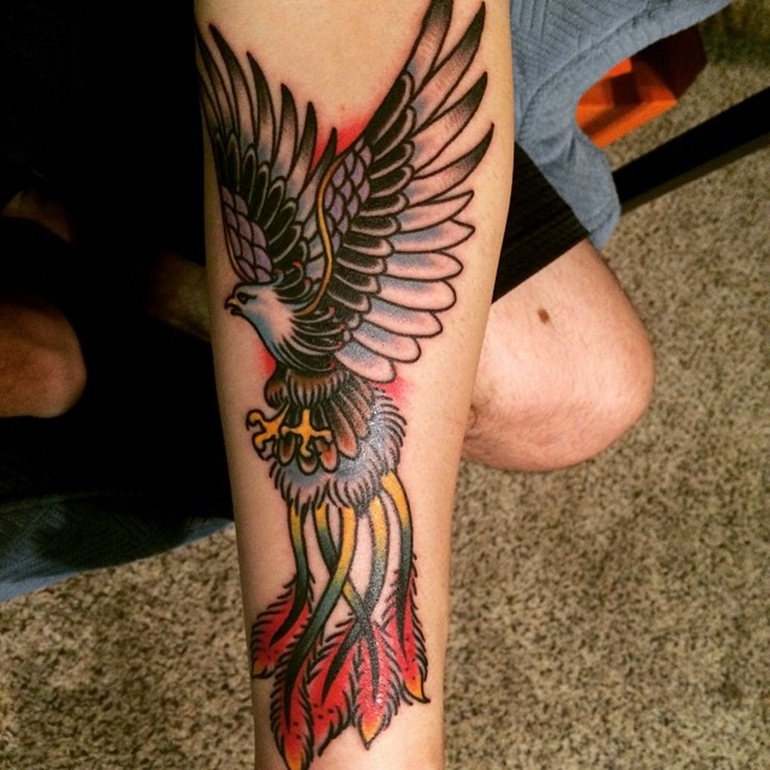 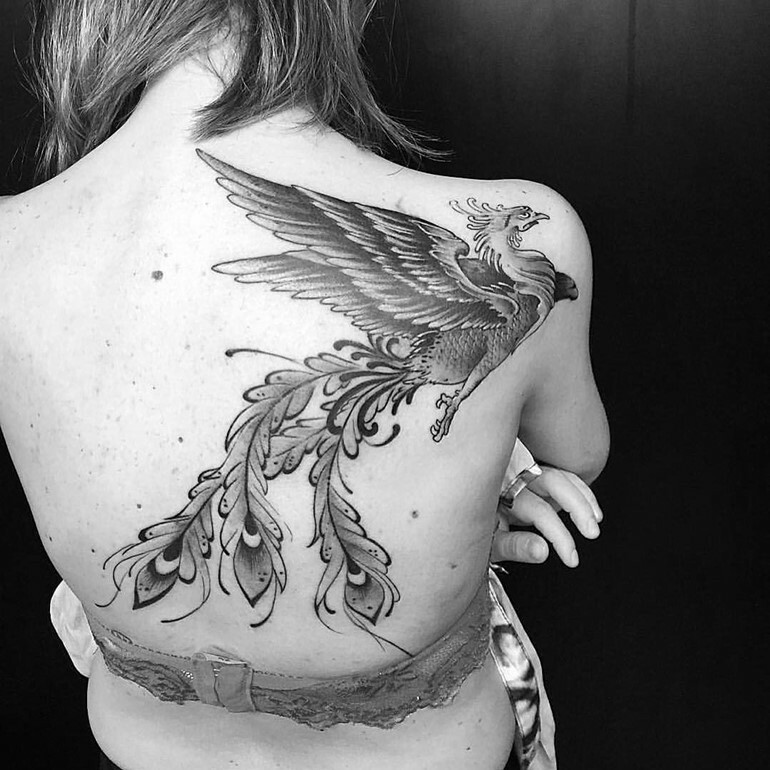 You can customize a phoenix bird tattoo to highlight emotions close to your heart. 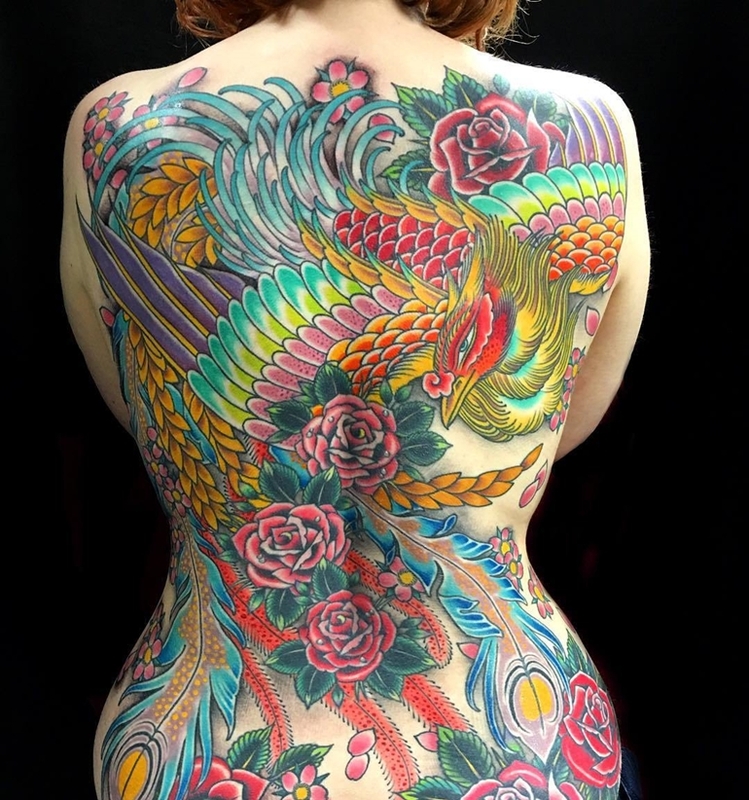 Just say a tattoo artist best what you want to describe the tattoo and he or she easily give you the best. 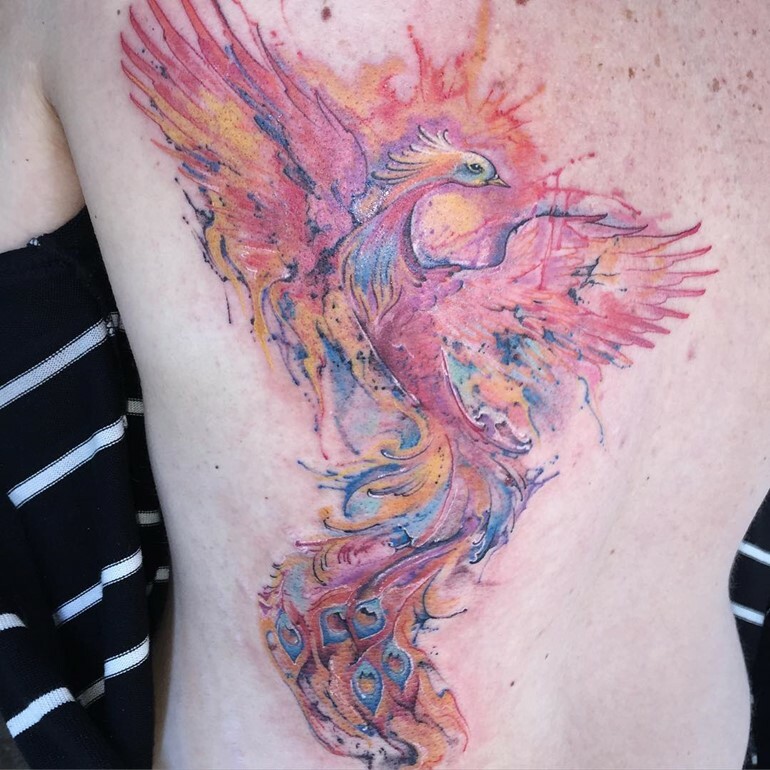 Hebrew legend says that Phoenix was bird abstained from eating the forbidden fruit of paradise, and it was set on fire but rose from the ashes of three days later. 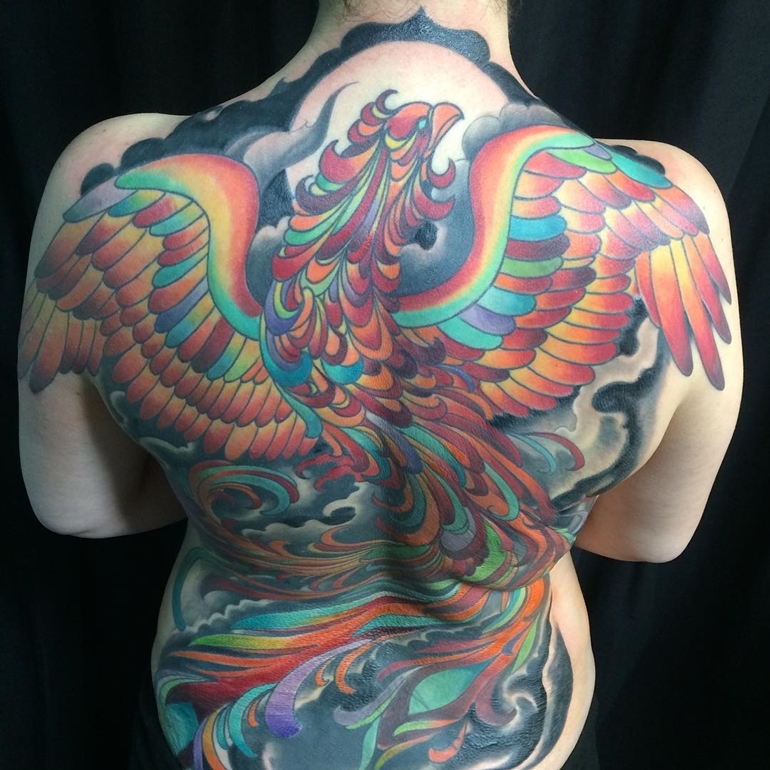 Phoenix was also regarded as representation rising and setting sun. 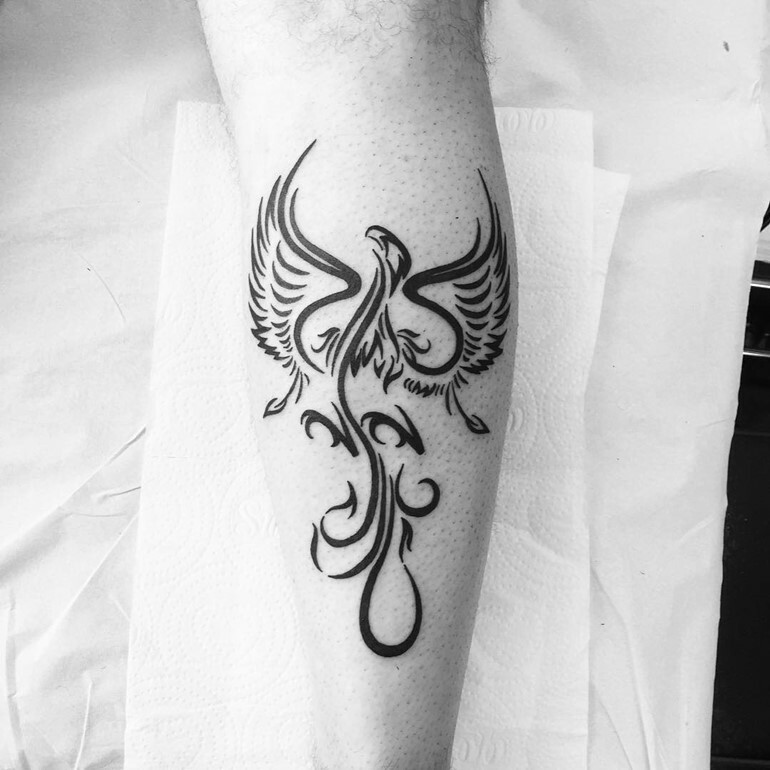 However later on it was widely accepted as a symbol of resurrection life. 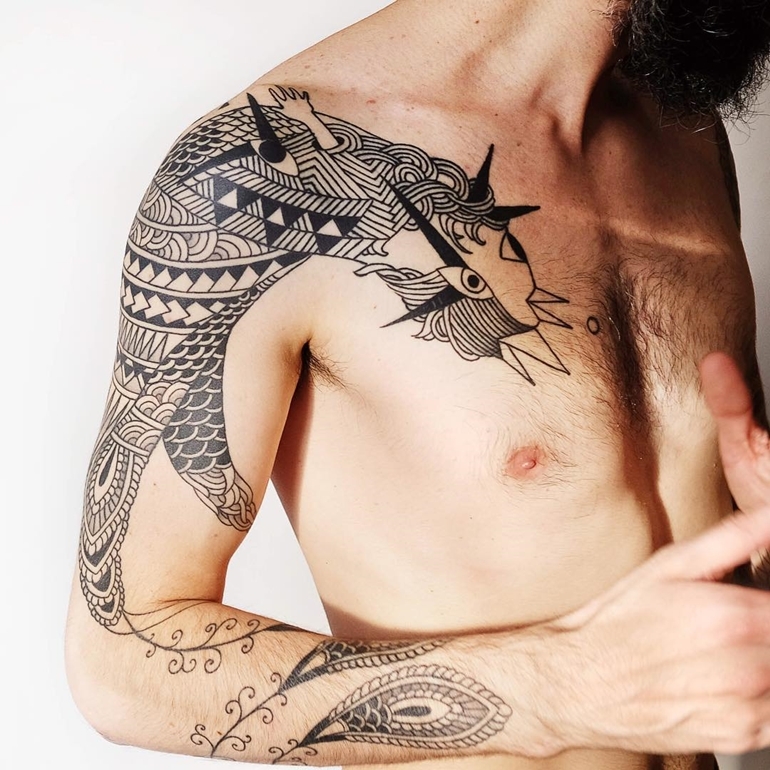 Initially, tattoos were just beautiful symbols. 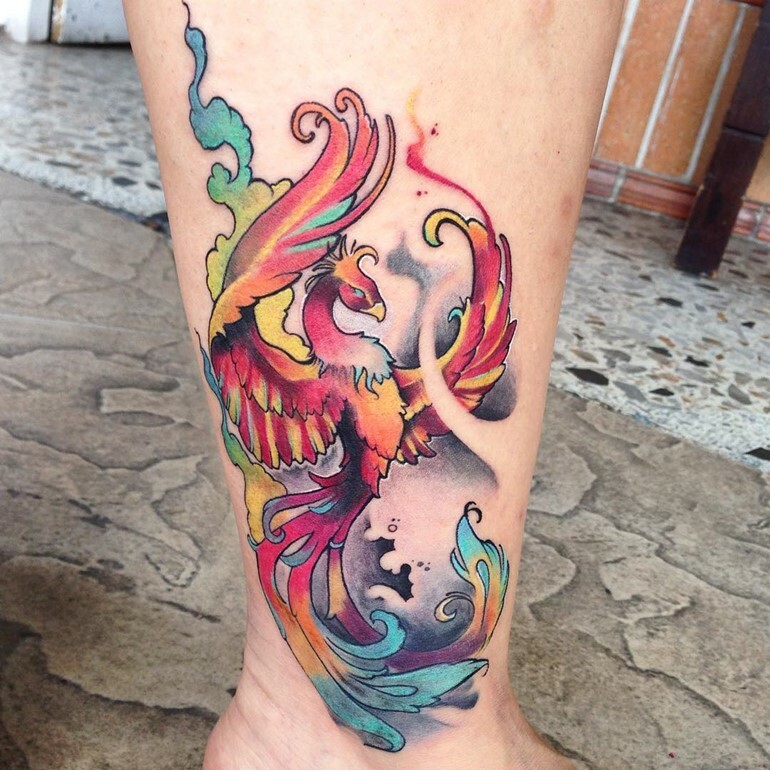 The later they became a medium to express the life experiences and emotions. 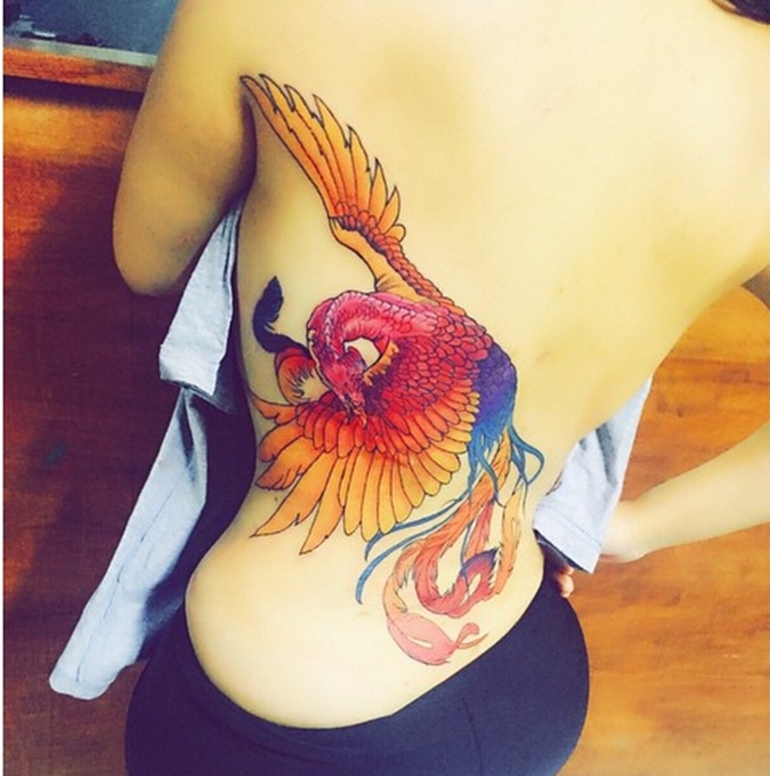 Therefore, the Phoenix bird designs have attained high popularity. 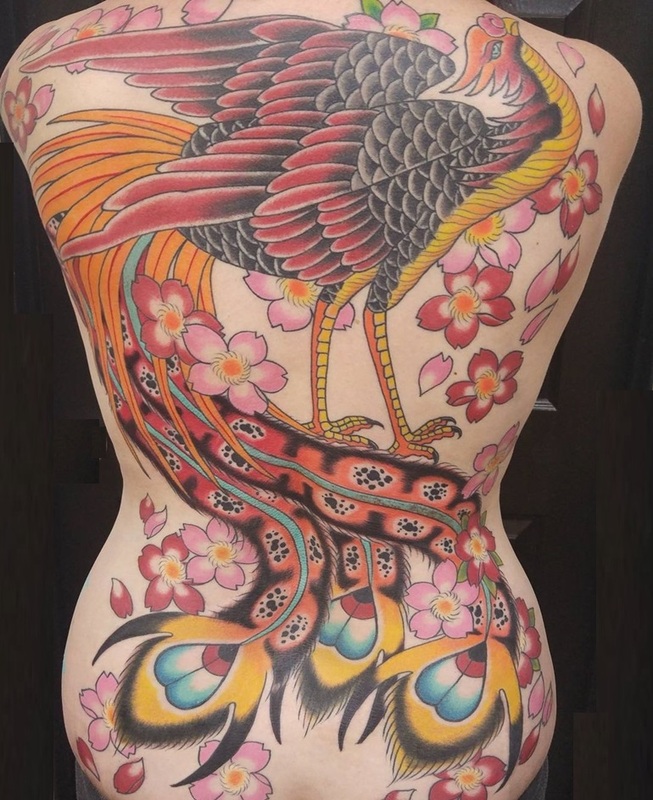 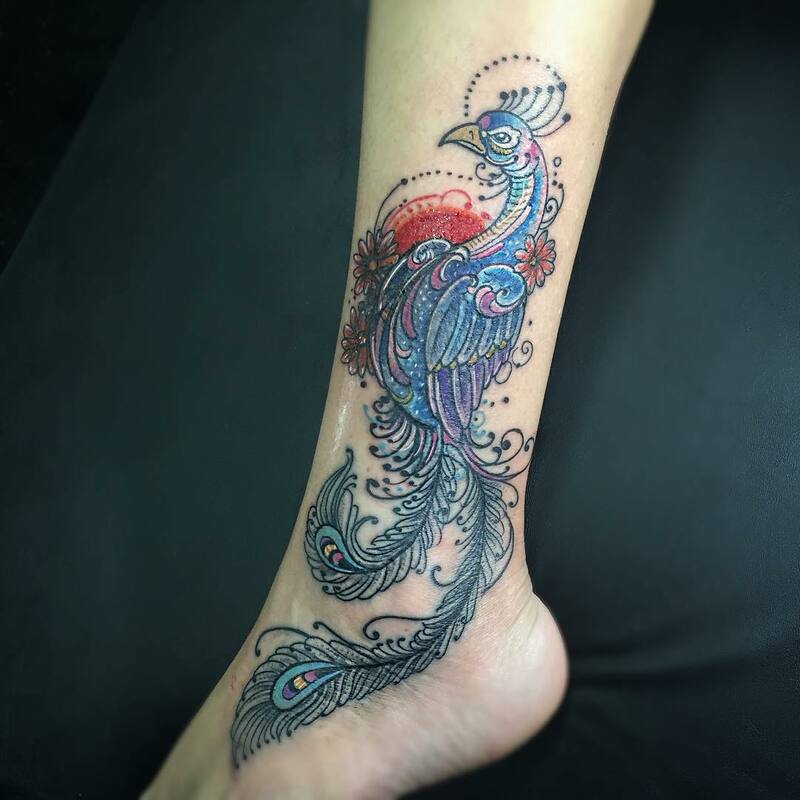 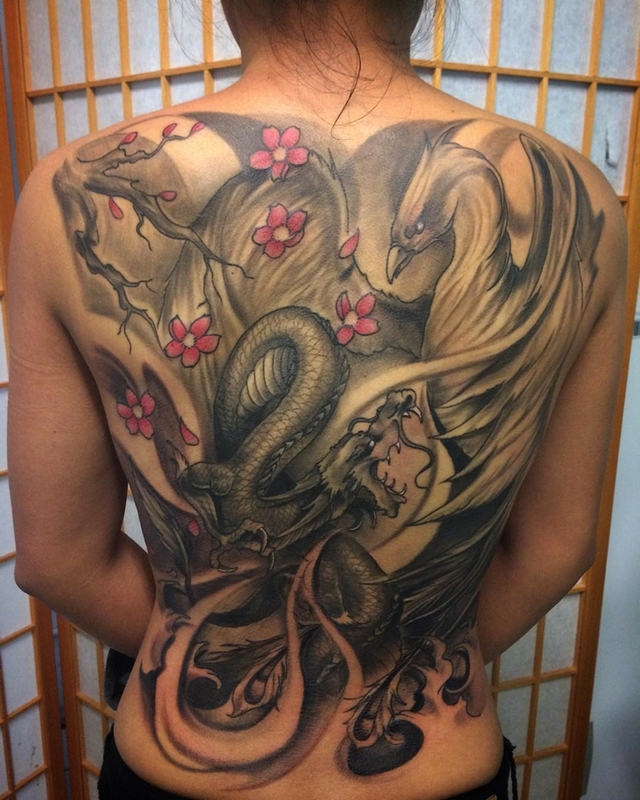 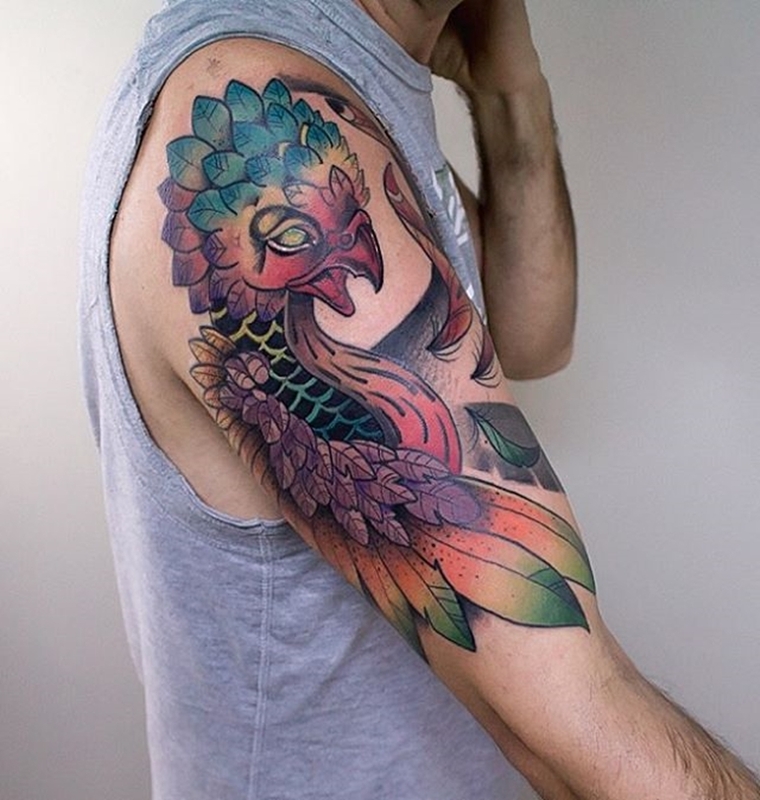 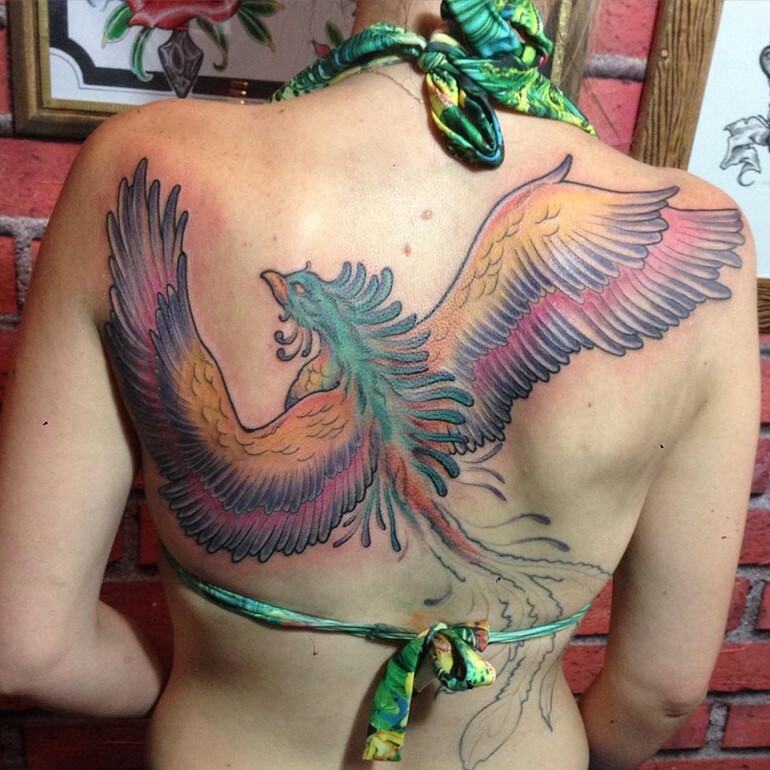 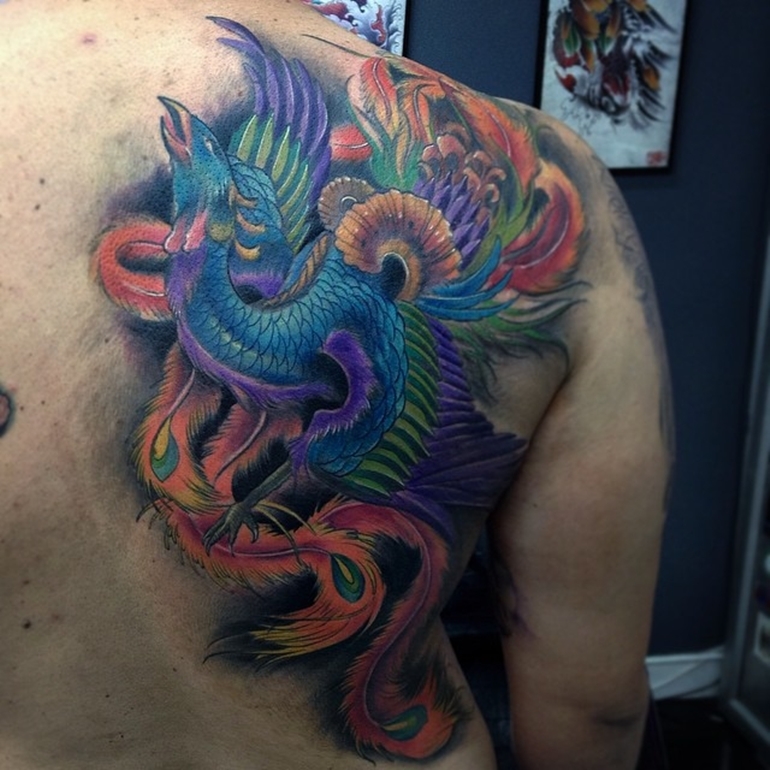 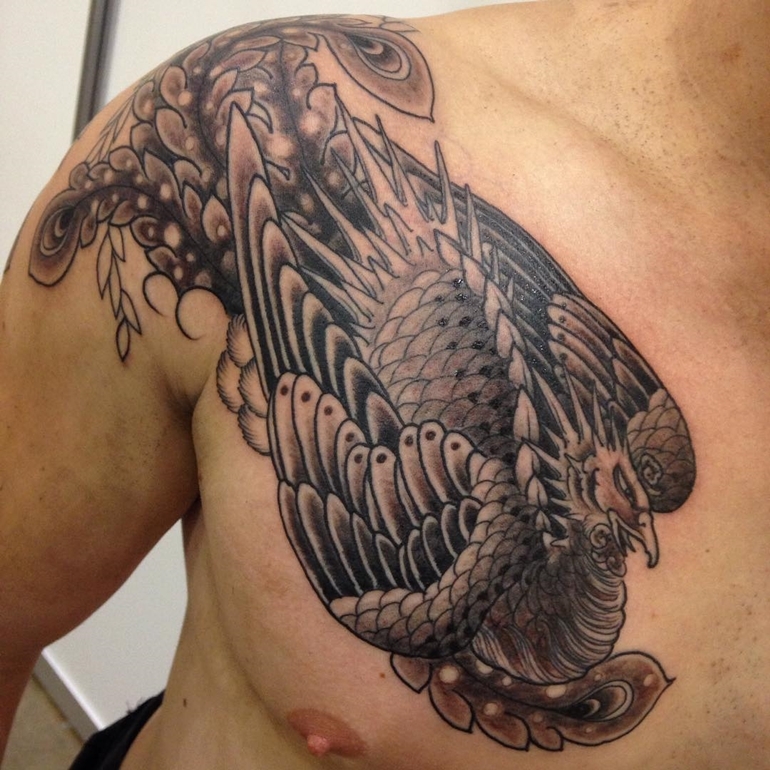 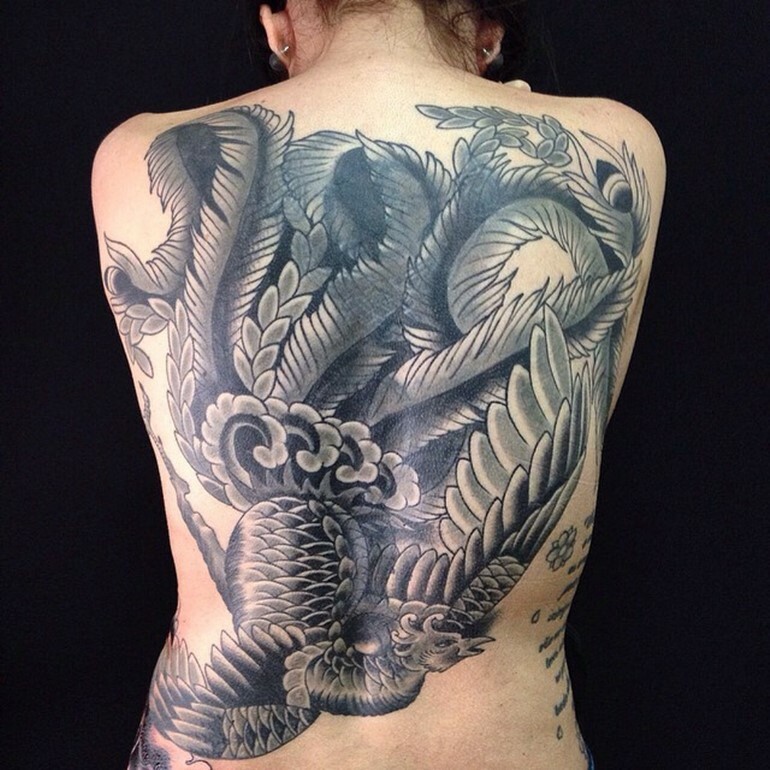 Keeping with this, tattoo artists creatively designed many forms of Phoenix bird tattoo with long feathers. 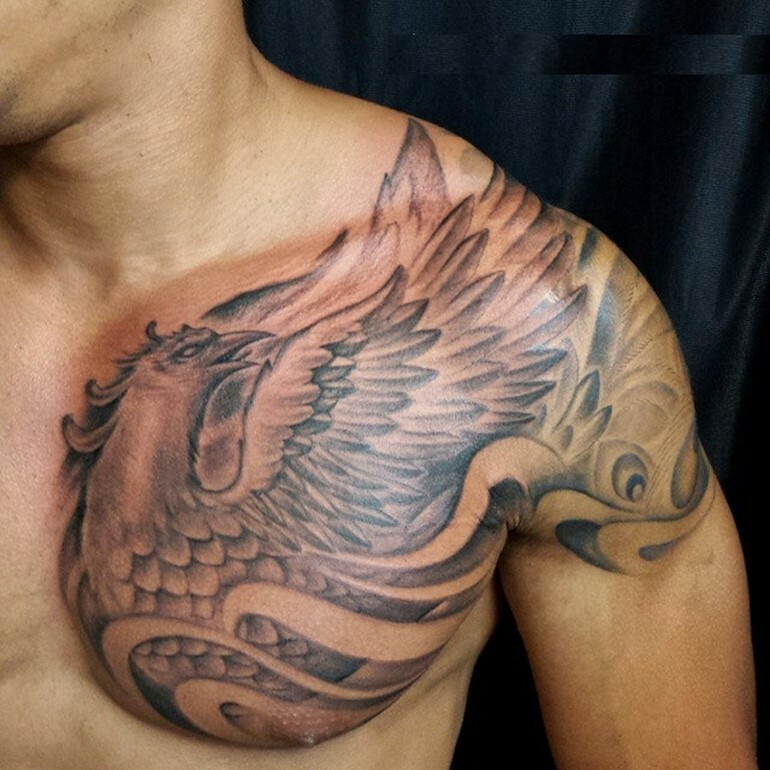 The emergence of Phoenix as a popular tattoo is well documented but people think it originated in the Far East. 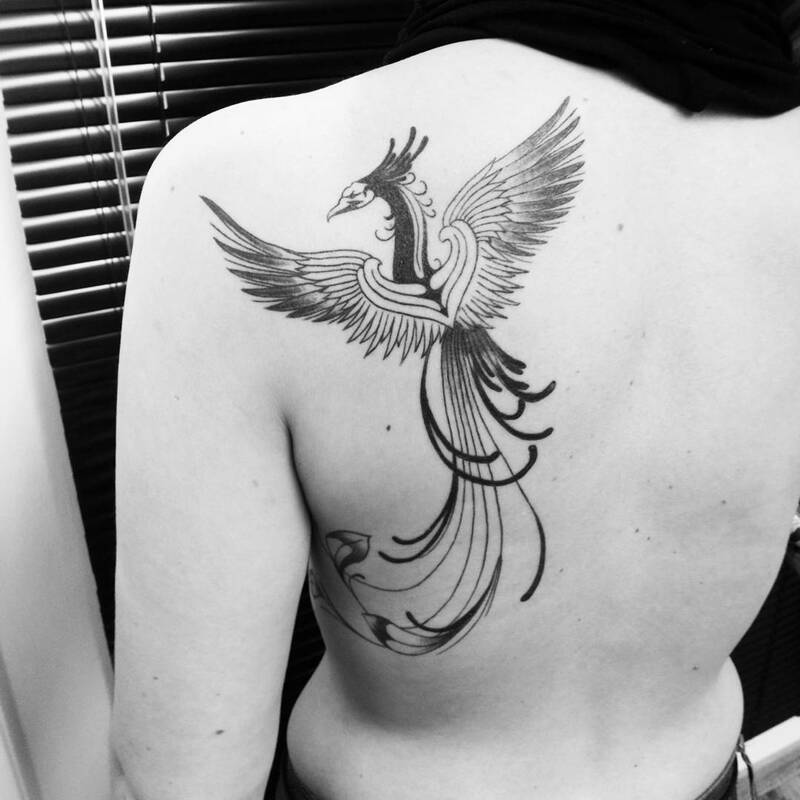 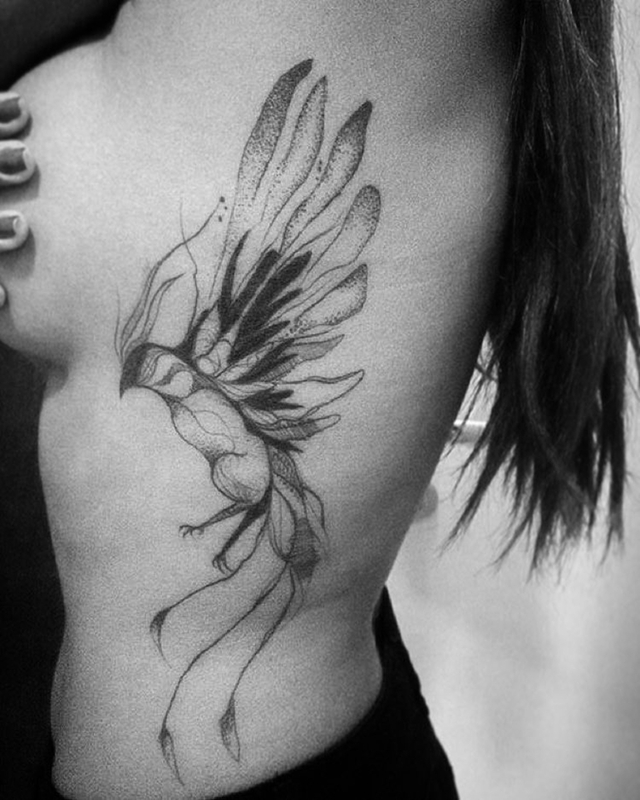 Men like to have an image of phoenix on their arms, while ladies normally prefer to lower back or their belly. 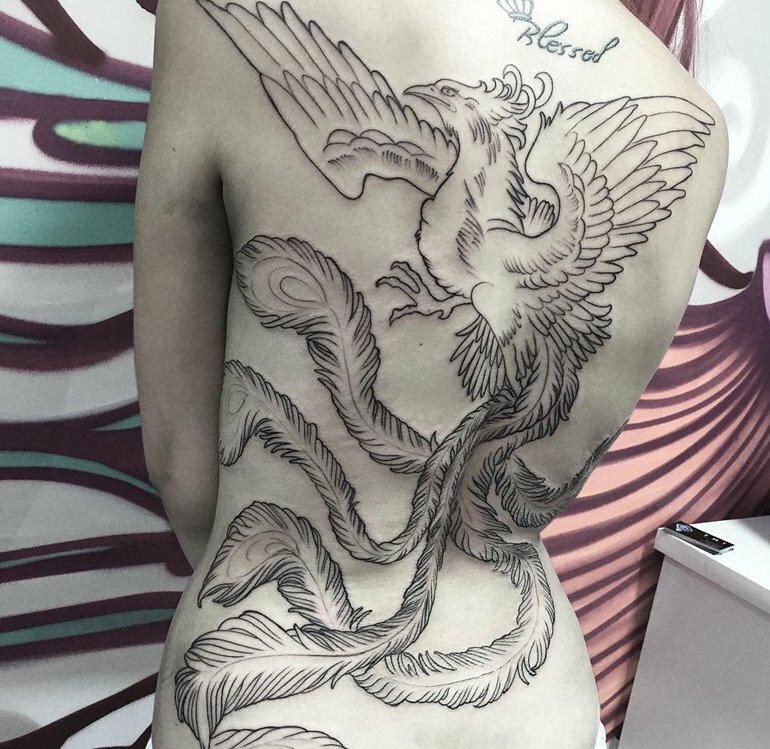 There are people who consider Phoenix to be the symbol of the devil and that pagans expressed their love for Satan through the phoenix. 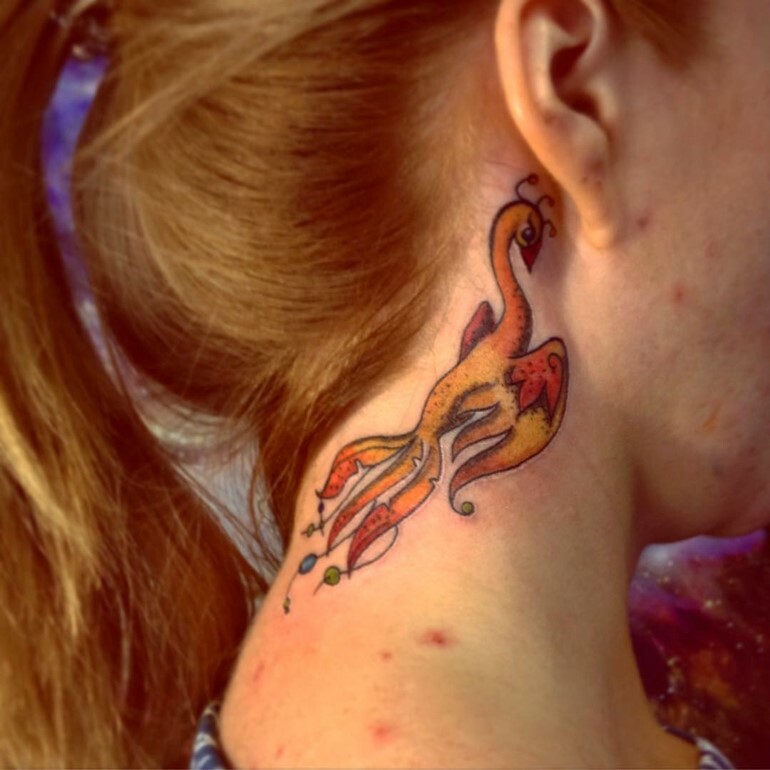 In much popular Harry Potter series, phoenix bird was described as having healing powers. 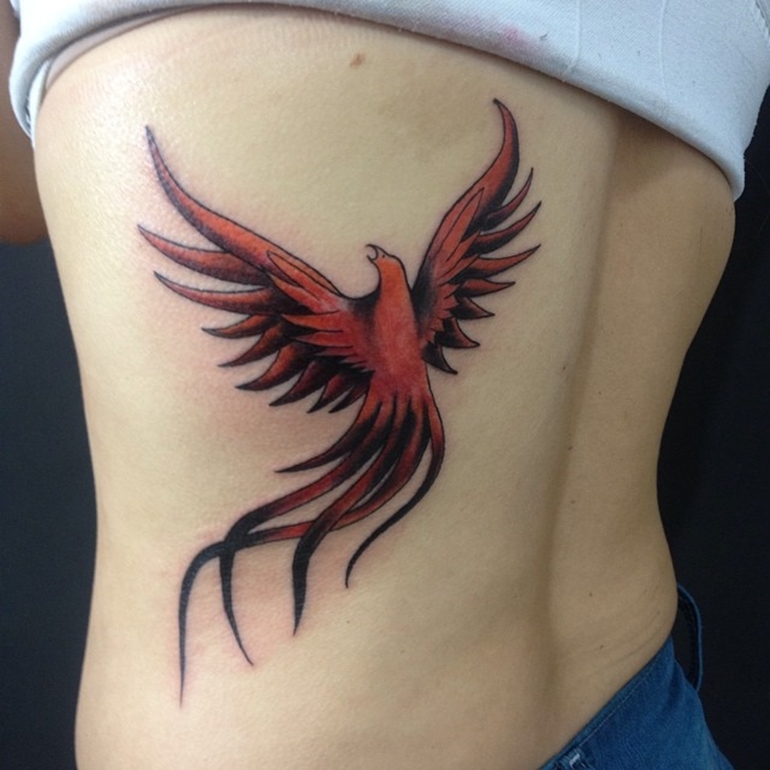 This is the symbolic meaning of Phoenix, the resurrection. 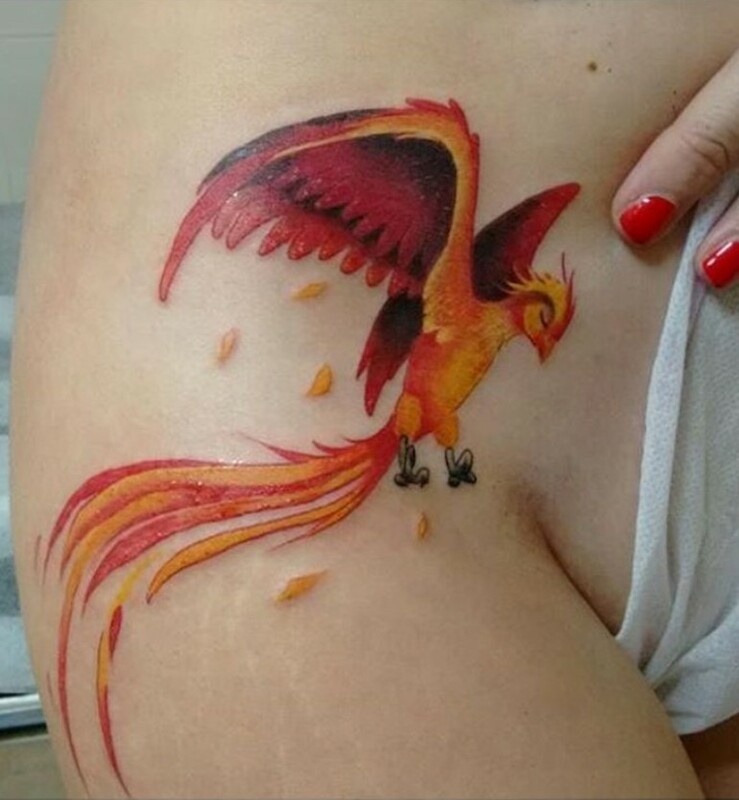 The Chronicles of Narnia, a phoenix is one of the characters depicted save from imminent danger. 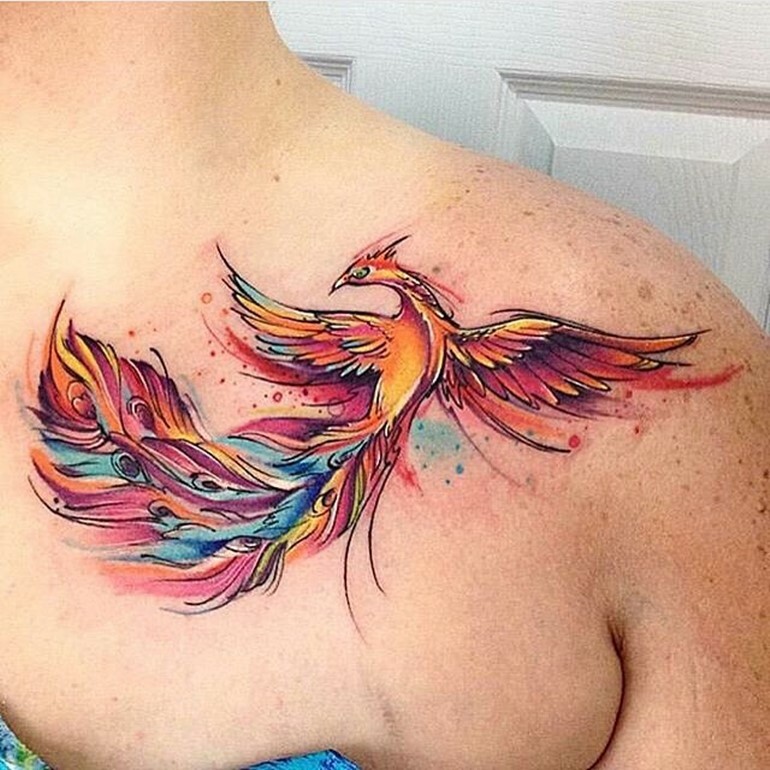 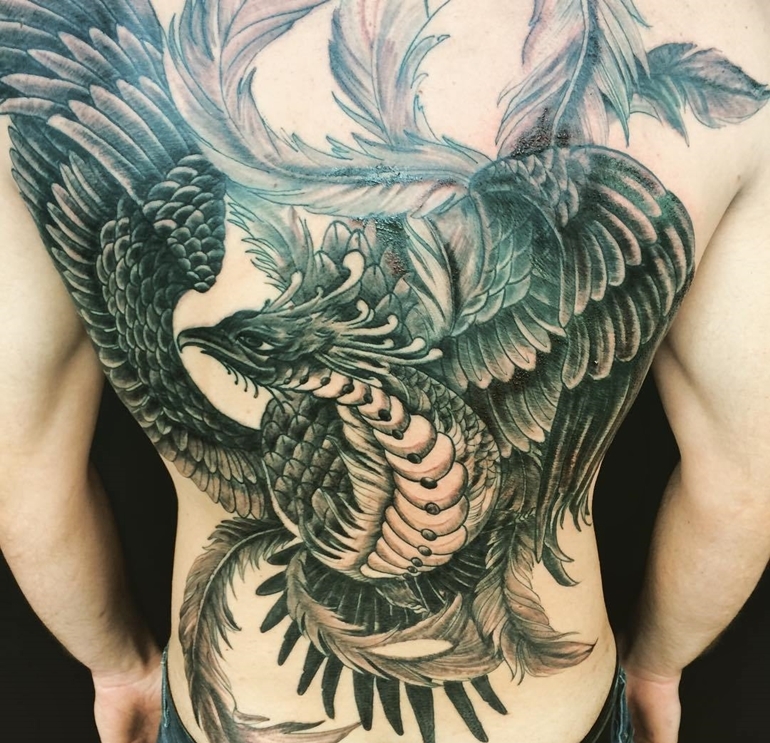 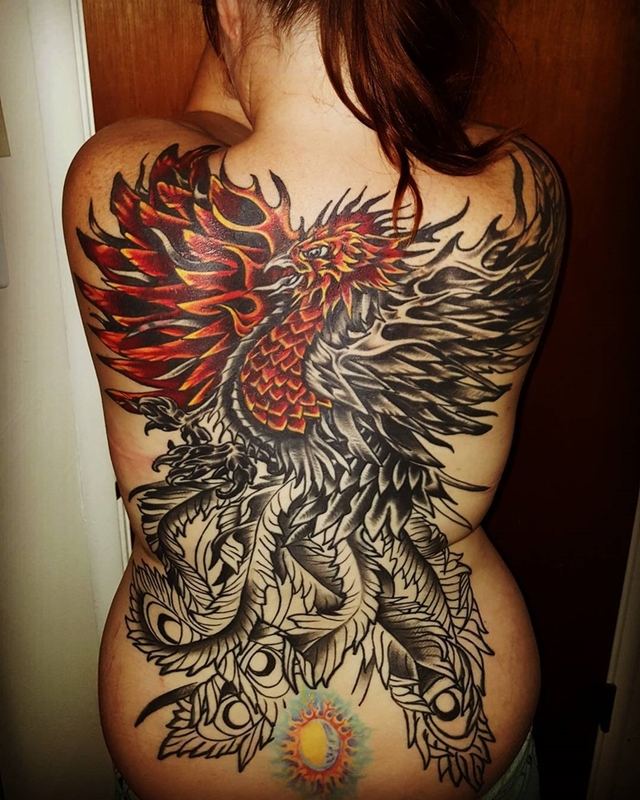 History phoenix was used not only as a tattoo. 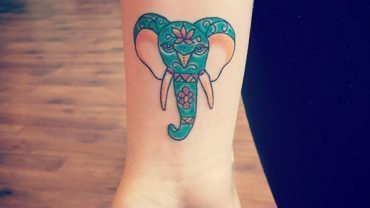 It was also printed on coins of the ancient Romans, who believed that it would ensure the longevity of the Roman Empire. 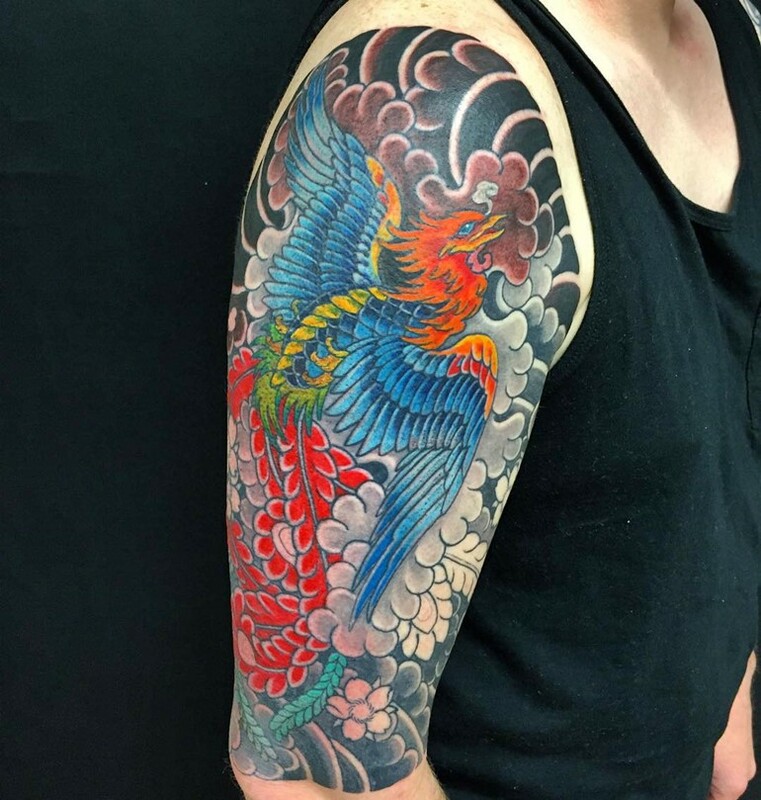 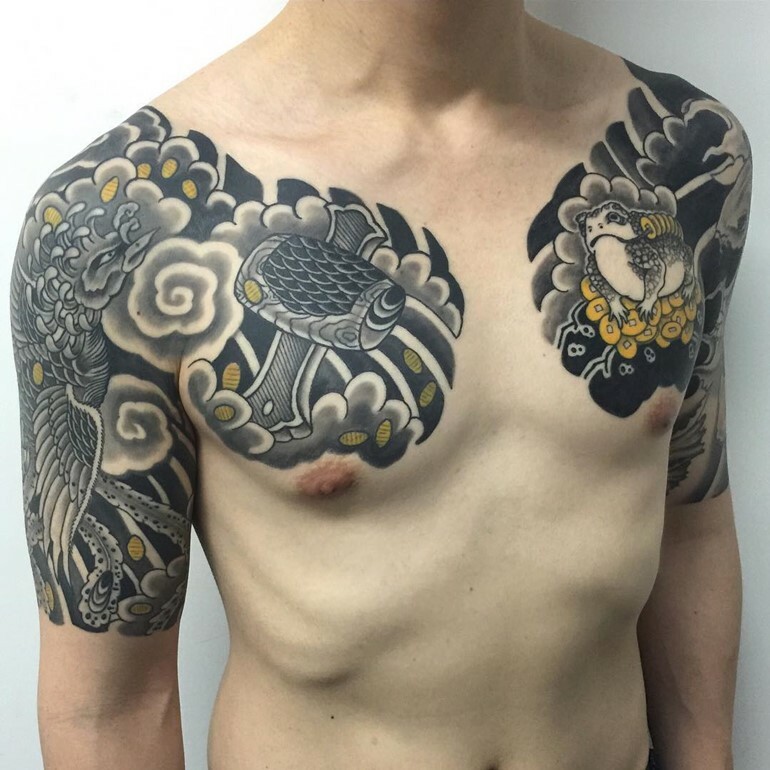 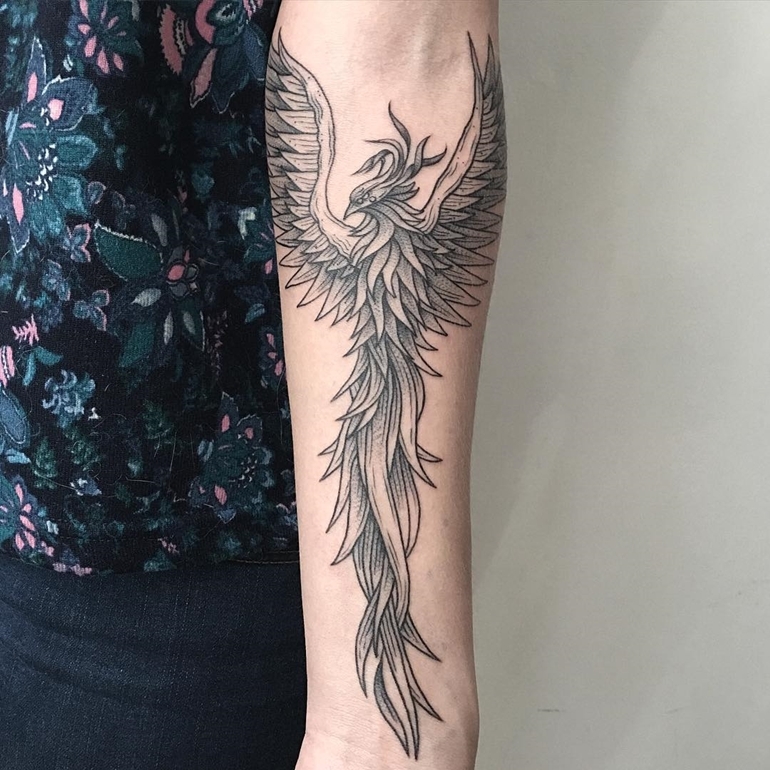 Whatever the reason, phoenix tattoo designs are beautiful and at the same time defined, deeply held symbolic significance. 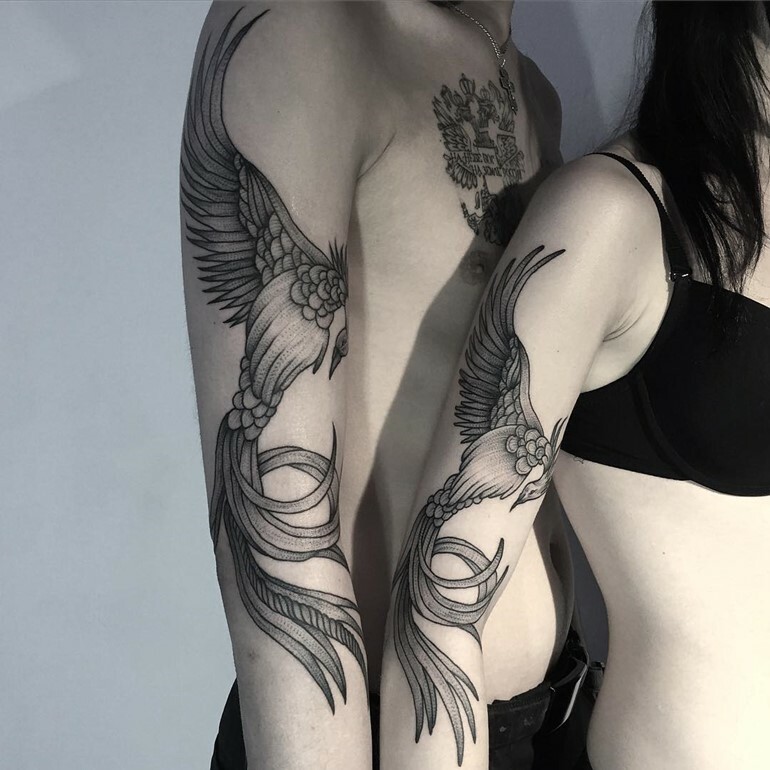 Therefore, these models are, like diamonds, forever. 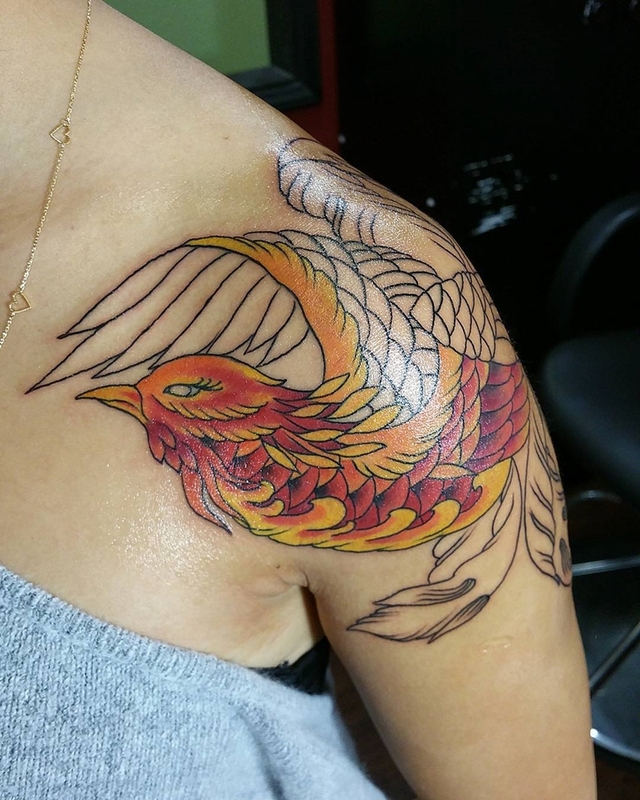 The fire that surrounds the phoenix represents death and turbulence and uplifting phoenix representing the victory of life over death and worries of life. 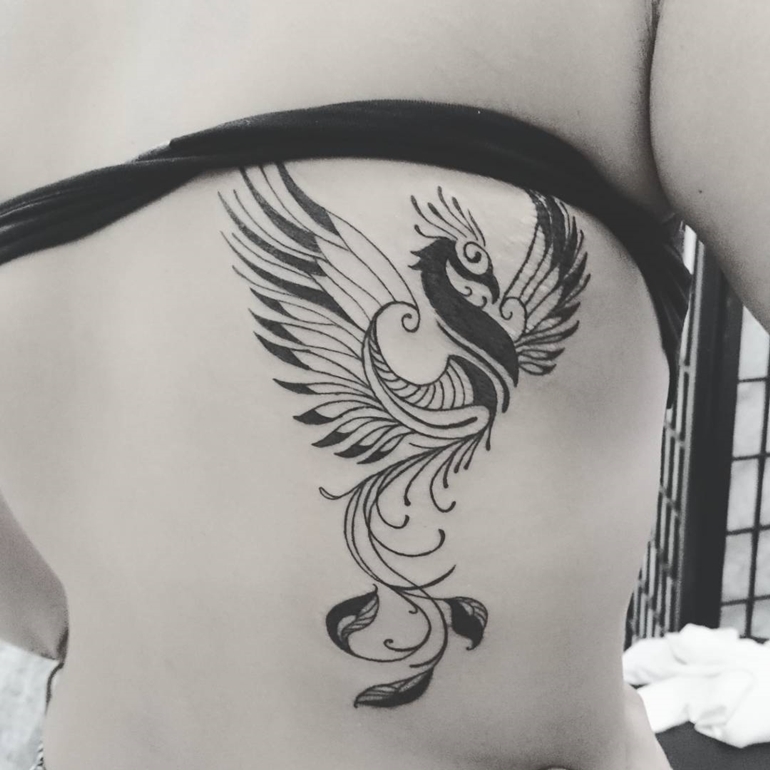 So no matter how bad we would go at some point in life, phoenix’s symbol of a tattoo would remind us that we will always be able to rise from the ashes and we do not ever beaten. 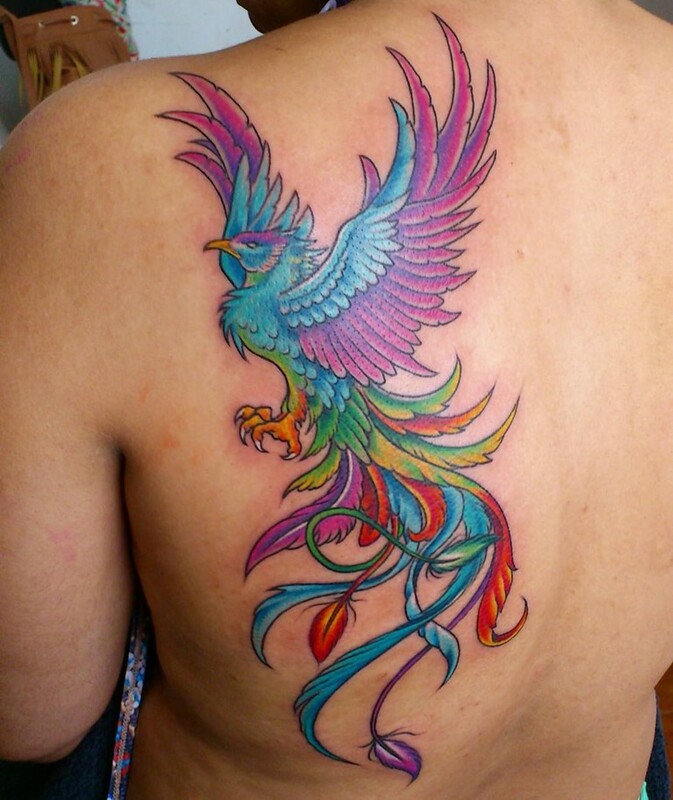 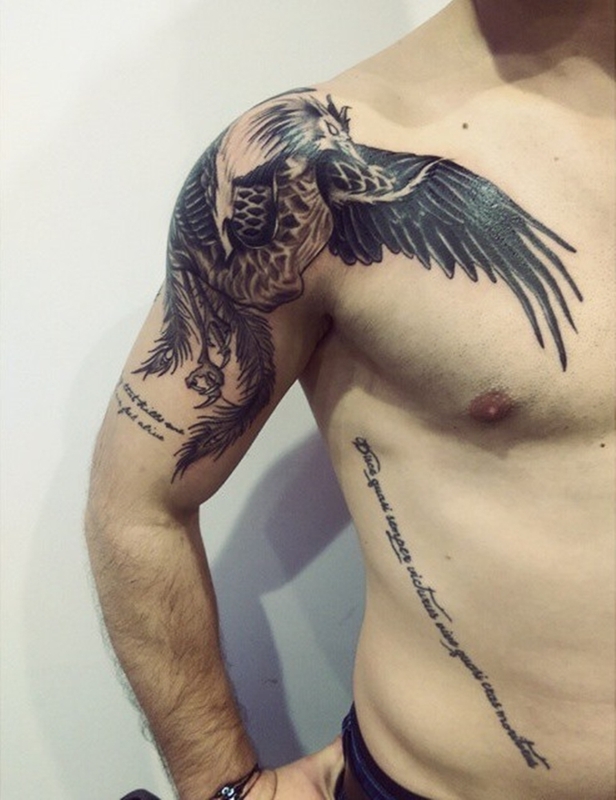 So Phoenix is ​​one of the most inspirational and motivating symbols that you could ever apply them in a tattoo. 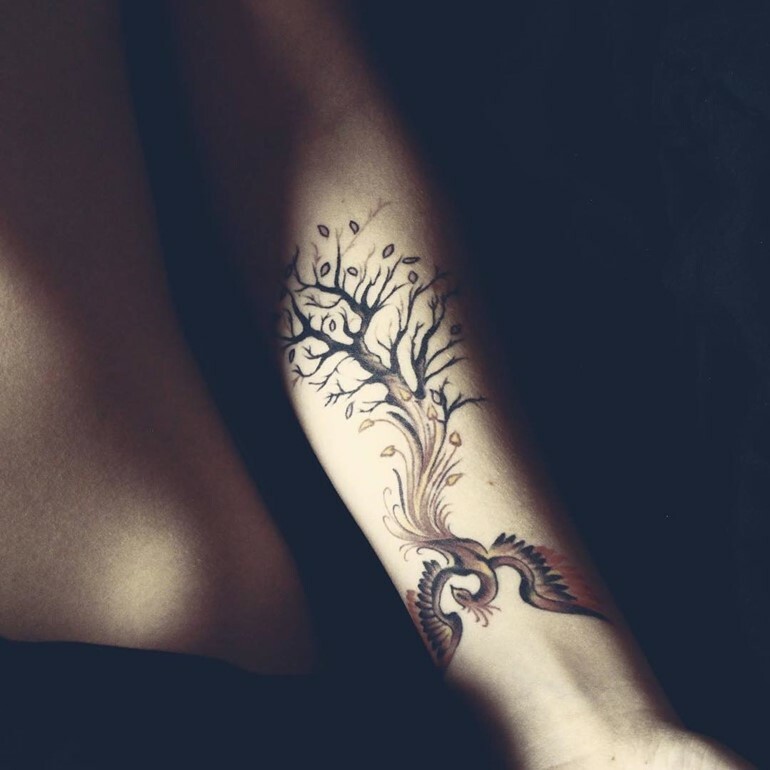 No matter how bleak the situation might seem, there is always a way to to come back to the old you. 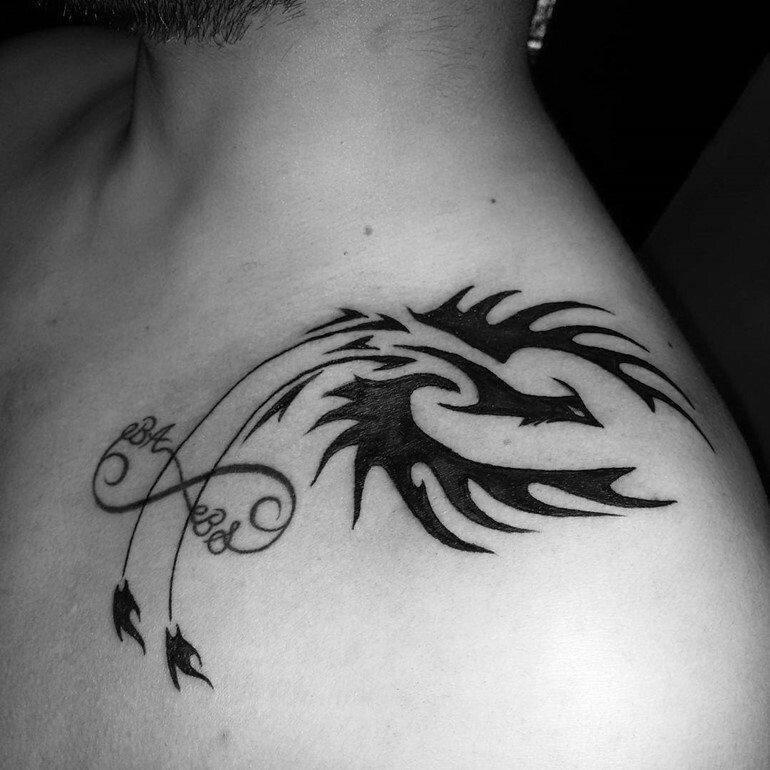 Moreover, the flames symbolizes the “noise” in this world. 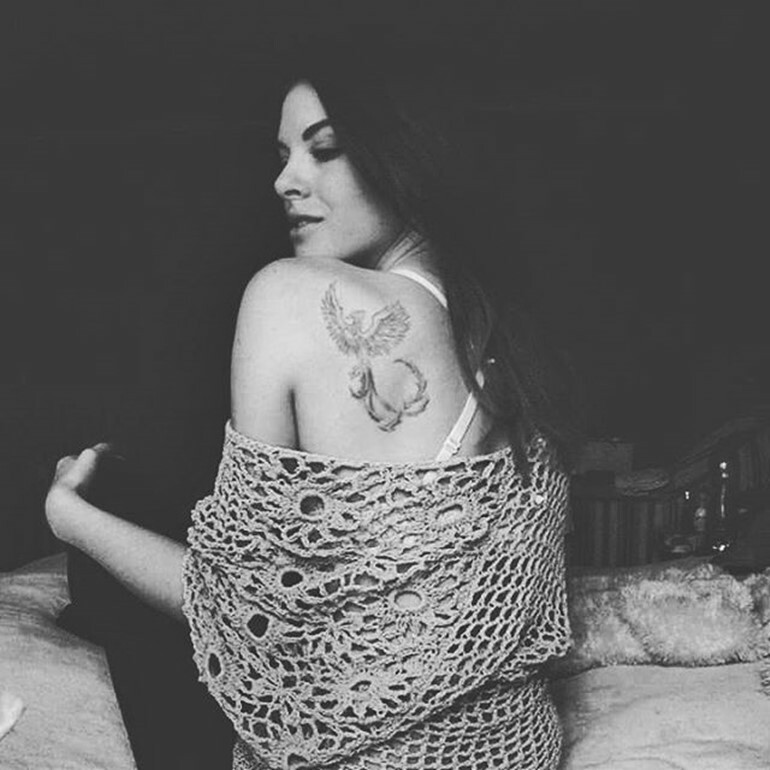 So, after a failure, make sure you return you will be felt by a spectacular entrance.